You know when you wake up in the morning and there’s some great song playing in your head and you try and figure out where it came from, and then you realize it’s from some album you listened to three days before. Yeah, like that. This is one of those albums. And memorable songs like that begin with superb songwriting and crafty arrangements, laden with strong melodies and irresistible hooks, not to mention the great playing throughout by all. This is power pop of the highest order, informed by legends like The Who, The Beatles, Wings, Cheap Trick, Nick Lowe, Tom Petty, and Big Star, among others. That’s not to say that the eleven songs here sound like any of those guys, but their influence is certainly felt, as well as the whole jangly guitar driven sound of the British Invasion. Piunti’s a masterful guitarist who understands the importance of rhythm playing as the basis of a catchy tune, but he turns in many exceptional solos here, as well as singing; joining him on most of these tracks are drummer Donny Brown, and bassist Andy Reed. They all play some keyboards, and Ryan Allen contributes some additional guitar on two songs and vocals on four. Other players contribute guitar, vocals, keyboards and more to this song or that, and these are all fine players. 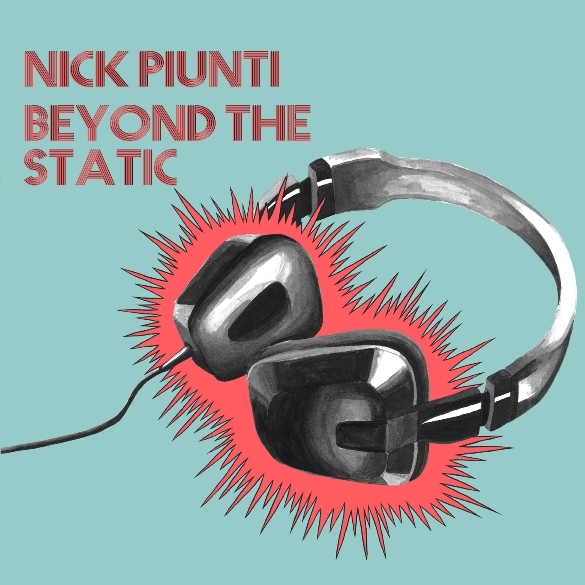 This is Piunti’s third release, and the first couple tunes (“It’s a Trap,” “Heart Stops Beating”) sound like they could be out-takes from his previous 2013 album 13 in My Head (another great one to investigate), but things take a quantum leap forward on the third cut “Time Machine,” and it never lets up from that point forward, with too many many great songs to enumerate. There’s a lot here to like in every groove and lick; the three minute power pop style doesn’t get much better than this.